How to Open / Lock User Profile In Google Chrome:– Google Chrome has dominated the world of browsers and many of us still prefer it over anything else for a faster browsing experience. One of its important feature is that, it enables you to create separate user profiles .Our personal computers have always been designed to provide us with a very safe and a secure environment, be it the Windows, Linux or the iOS operating systems installed on them. But there are various occasions on which we would share our PC or laptop with any of our friends or so,whereby you still want to protect your browsing history .So, it is always better to create two different profiles when you share your stuffs. This helps you make a restricted access to the web browsing history, the accounts for which you would have saves your stuffs and also it is very easy to switch between two different profiles. Here we are going to discuss the ways on how to create a new user profile on Google Chrome and how to lock it with a password. In this way, you can lock the web browser and your private history whenever you aren’t using it. Many of you wouldn’t have heard about it before, as this feature was introduced in 2013 and got disappeared after a few months, though the Profile locking feature still exists according to the developers. Note: Here only if a you put on a new supervised profile, the profile will be protected with a lock. In order to perform this intended task, first of all, you will have to open up your Google Chrome browser. Go to the address bar and type the URL given below. Once you have done this, press enter. A new window pops up.Scroll down, and then you will find the option called Enable New Profile Management System. It will be having in its drop down menu, 3 different options Default, Enabled and Disabled. Choose the option Enabled. Finally , Click on the Relaunch option given at the bottom of the page. 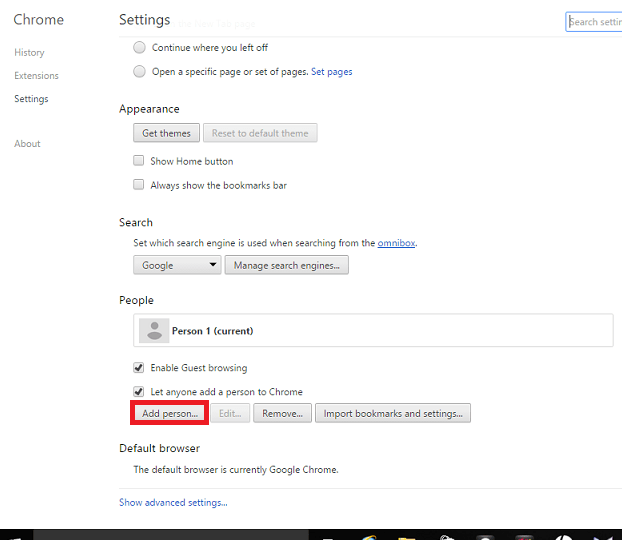 Open now the Google chrome settings (Go to chrome://settings/ ) and scroll down until you find the title named People. Find below it the Option named Add People. Click on it. Here you get to set the picture and the username of the next person who gets to use your chrome. Remember to Sign in to your account to control and view the websites he visits on your browser. Once you click on the Add button, you will find two profiles. 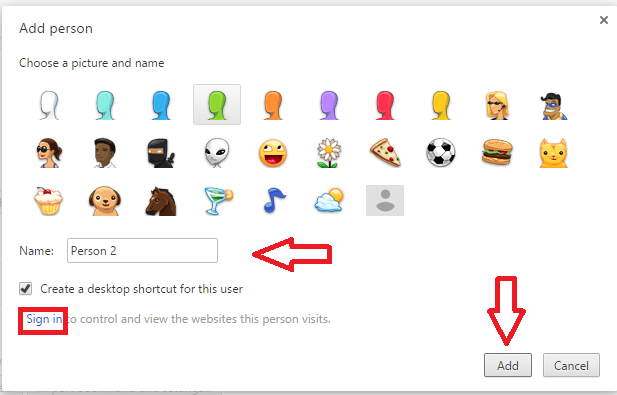 Now right click on your profile that appears at the top right of your browser homepage. You will find a new option called Exit and Childlock. Click on it. Your Google Chrome is now locked and if you have to use it, you will have to provide your password. Have a look at it and keep a watch on your browsing history.